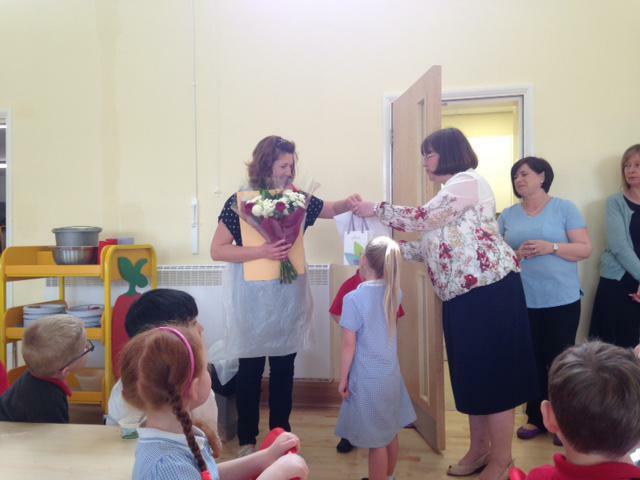 Today we said goodbye to Mrs Bennett, who has been a Midday supervisory assistant ("dinner lady") at Little Gonerby for 13 years. 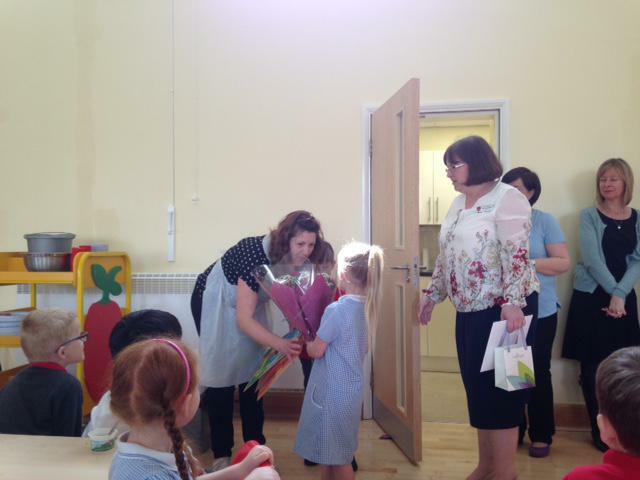 Children presented Mrs Bennett with cards and gifts in the lunch hall. 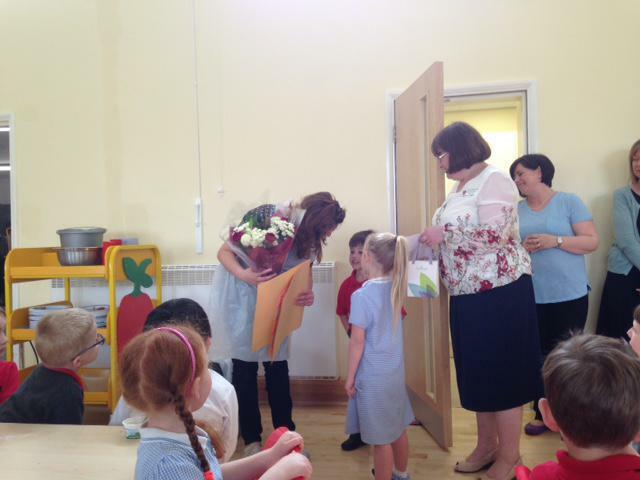 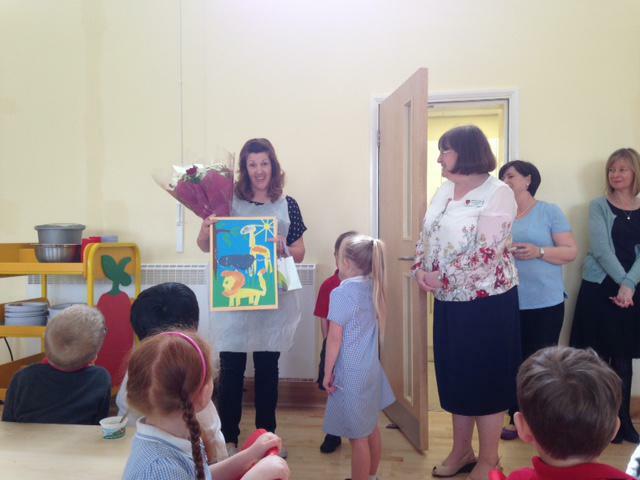 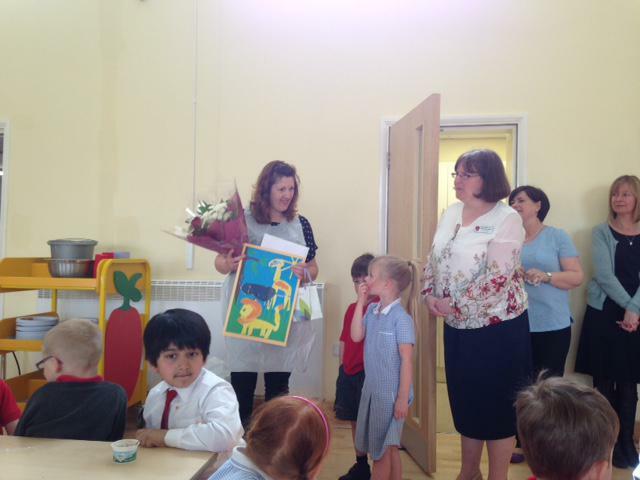 We thank Mrs Bennett for all her hard work for the children of Little Gonerby during the past 13 years, and wish her well for the future.